Manchester United’s new interim manager Ole Gunnar Solskjaer has achieved something Jose Mourinho failed to do in his entire two-and-a-half-year reign at Old Trafford. The Red Devils have gone 5-1 up against Cardiff City in their Premier League clash this afternoon – the first time they’ve scored five in a league game since Sir Alex Ferguson’s final match in charge before retiring in 2013. United never once scored five under Mourinho in all competitions, with the Portuguese leaving his position as MUFC boss this week after 144 games in charge. 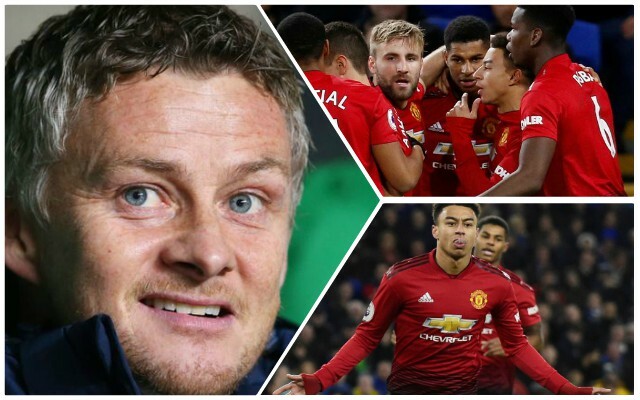 Solskjaer has come in and made an immediate impact, with United running riot in Wales thanks to goals from Marcus Rashford, Ander Herrera, Anthony Martial and two from Jesse Lingard. The difference in United’s football under Solskjaer was instantly clear, with the Martial goal a particular treat as it showed the improved quality of football the Norwegian has already managed to introduce to this squad. United will have far tougher games than this one, but fans will be thrilled to see beautiful football back from their team after a dour few months under Mourinho.